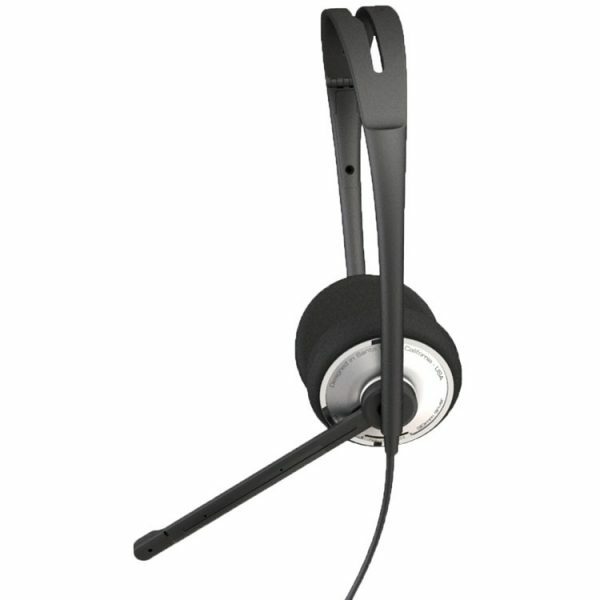 Plantronics .Audio 476 DSP Computer Headset - Headsets Direct, Inc.
.Audio 476 DSP Computer Headset has been discontinued. 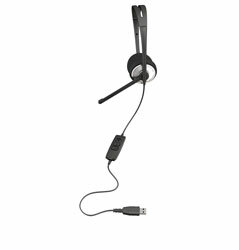 Digital signal processing provides enhanced sound quality in this comfortable, foldable stereo USB headset. A noise-canceling microphone and wideband acoustic echo cancellation capture a broader range of voice signals for calls that are clearer and more natural sounding. The Plantronics .Audio 476 DSP acoustically tuned equalizer supplies rich, resonant stereo sound and optimizes voice response to clearly hear vocal tracks when listening to music, watching a movie or playing a video game. USB plug-and-play connection means there is no software to install. With a comfortable, lightweight fit and easy-to-use inline controls, the Plantronics .Audio 476 DSP is the perfect headset for on-the-go audio needs.